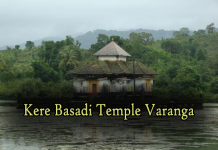 Bappanadu Shri Durgaparameshwari Temple is situated in the bank of Shambhavi River at Bappanadu village of Mulki town. It is 29 K.M. north to Mangalore following National Highway No.17. 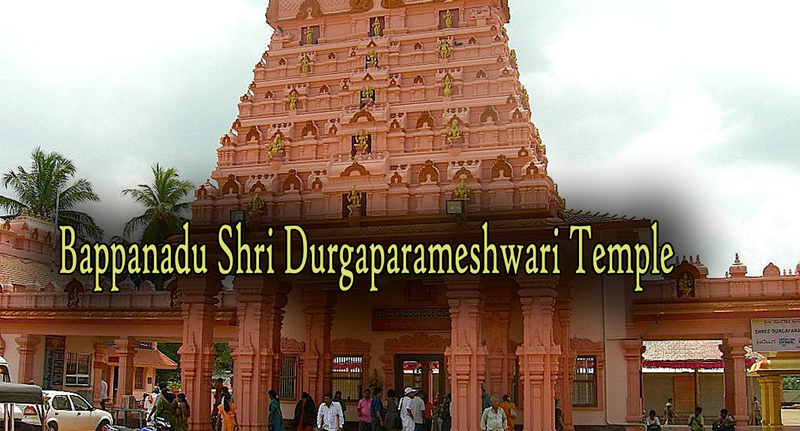 The main deity of this temple is Goddess Shree Durgaparameshwari. The place Bappanadu means Bappa’s village. As per the legend Bappa a Muslim merchant is responsble for temple construction. Annual festival (Brahma Rathotsava) of the temple falls in the month of April. Bappanadu Dolu (musical drum) is well known and There is a large drum that is kept in the side of the temple. At a distance of 28 Kms from Mangalore & 30 Kms from Udupi, Bappanadu Durga Parameshwari Temple is located on the banks of River Shambavi in Bappanadu village near Mulki. The main deity of this temple is Goddess Durga, worshipped in the form of Linga. 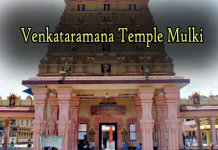 This temple is one of the important temples of Shakti in Dakshina Kannada. This temple was constructed in the 14th century. There is a large drum in the temple famously known as Bappanadu Dolu. Annual festival is celebrated in the month of April.